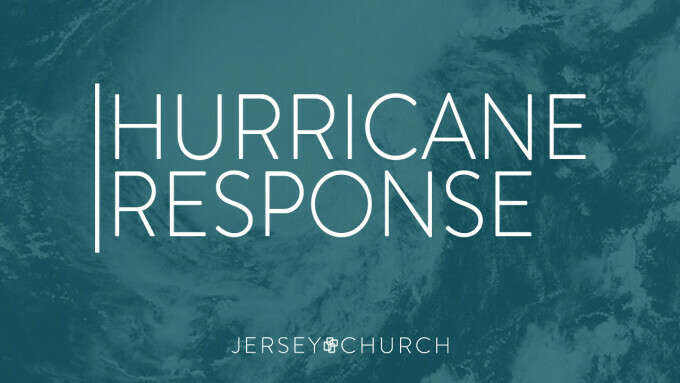 Many people are wondering what things we, as a church, can do to respond and serve those impacted by the rain and floodwaters. Right now, we can do two very tangible things: pray and give. Pray for comfort and peace for those overwhelmed with anxiety or fear and for their comfort and peace to ultimately come from the hope of the gospel. Pray for emergency teams and responders as they are actively working to rescue and protect others. Many are now working long shifts as needs for rescue grow. Pray for the relief and recovery efforts in the weeks, months and even years ahead. Some of our closest partners are already on the ground serving and caring for so many in need. We can help directly support those efforts through our financial giving. You can be a part of Christ’s love in action, today. And please pray for those affected by Hurricane Harvey’s destruction. Thank you. You can also make check payable to Jersey Baptist Church. Please include DISASTER RELIEF on the memo line. The recent events in Charlottesville, Virginia have exposed the depravity of man for the entire world to see through racism and violence. Hate loves heresy, because it provides a false narrative to justify its acting out. The philosophy of white supremacy threatens the underpinnings of our national unity. We were founded upon the conviction (as flawed as it was in being implemented) that, "all men are created equal". To teach that one race is superior to another is constitutional heresy and leads to hate and the unraveling of our being the United States of America. There is another horrific impact of the White Supremacy movement or any other effort to elevate one race or ethnic group above another, it involves a spiritual impact which threatens the underpinnings of our Christian faith. Albert Mohler president of Southern Baptist Theological Seminary recently wrote that white supremacy groups have committed spiritual "heresy." I couldn't agree more, the gospel of Jesus Christ is the central message of the church. At its heart is the atoning work of Christ upon the cross for the sins of all humanity, not just a sub-set, made up of Caucasians. We must protect our church from heresy through proclaiming loudly the good news that, "God so loved the world," red and yellow, black and white. The lie of White Supremacy should be seen not only as a threat to our national unity but also as a threat to our Christian faith.